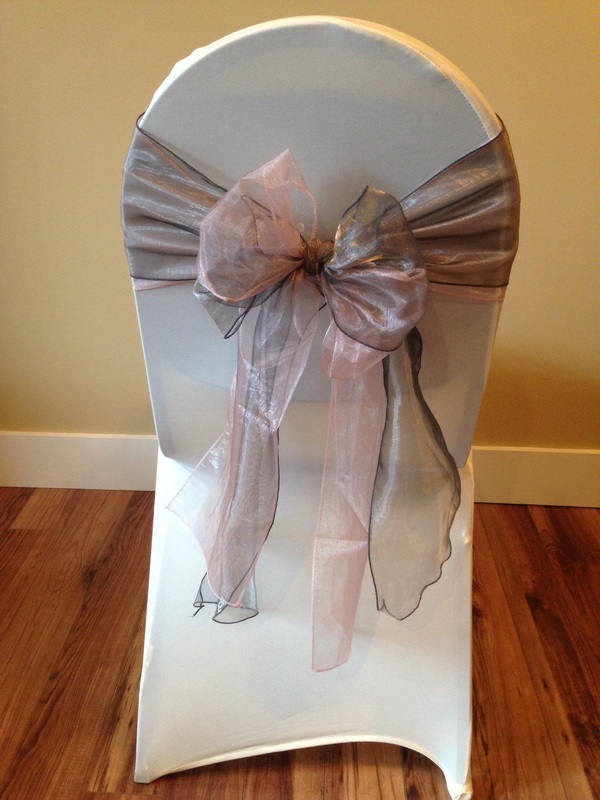 Chair covers are our most popular wedding rental item and can give you the biggest bang for your decorating buck. You will be amazed at how chair covers can transform a venue, changing drab, institutional chairs into something elegant and beautiful. ​We have three different styles of chair covers available to fit both banquet style and folding chairs. They come in a variety of fabrics and each comes with a sash in the colour of your choice. All linens are provided fully cleaned, ironed, and hung to ensure they stay perfect for your event. Laundering is provided after the items are returned. Our stretch fitted chair covers work for specific types of chair styles and create a streamlined, tailored look. Our semi-fitted chair cover is a great option for several chair styles. We carry these in satin or cotton look fabrics. Our universal chair covers work for a wide range of chair styles that don’t accommodate the more fitted styles. While this cover has a less tailored look, it provides a casual elegance that works well in both formal and more casual settings. We offer sashes in organza or satin finish in a wide variety of colours. In the unlikely event that we don’t carry the colour you’re looking for, we will do our best to source them for you at no extra charge. "The chair covers made the room for sure... everything was so smooth, stress free and we're still hearing we had a great wedding/party! We had an awesome day! Thank you again for everything!"